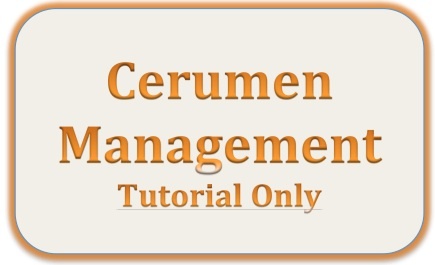 Cerumen Management – Tutorial | Noble Ear & Hearing Institute Inc. This course is approved by the College of Speech and Hearing Health Professionals of BC. Performing a hearing assessment or fitting Hearing Aids requires a thorough examination of the ear, the ear canal, and the eardrum. The examination or fitting can be affected by the presence of cerumen, depending on its size and location. It is essential that clinicians acquire knowledge and expertise in cerumen management to perform safe wax removal at their office when necessary. Anatomy and Physiology of the External Ear.